Skin needling – also known as collagen induction therapy or microneedling therapy – is a skin rejuvenation treatment that’s proven to achieve remarkable results in just four to eight treatments. 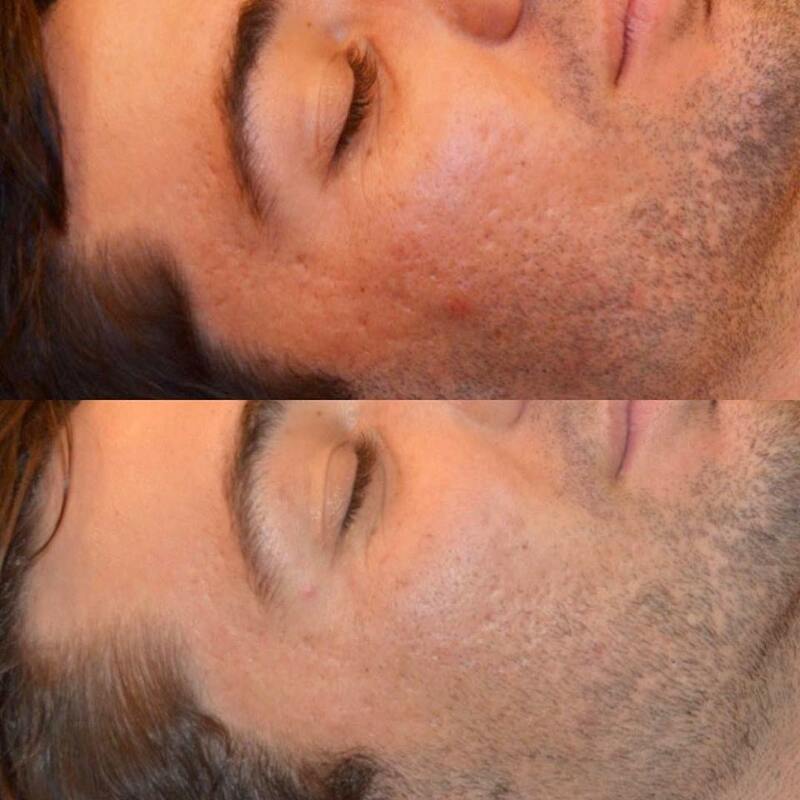 Skin needling can visibly improve the appearance of skin on the face, neck, décolletage, body and hands, and is suitable for both men and women, as well as all skin types. How Does Dermapen Skin Needling Work? 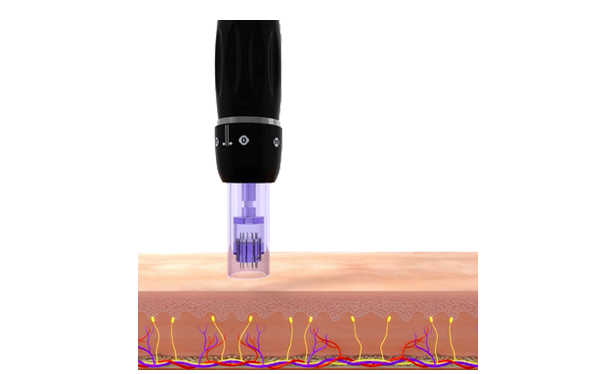 This simple, yet effective therapy uses a handheld device with small, shallow needles that punctuate the outer layer of your skin to create a controlled skin injury. The surgical-grade needles that are used range in size from 0.25mm to 2.5mm in length. This encourages your body to produce new collagen and elastin, which, in turn, will rejuvenate your skin by filling in fine lines and lessening the severity of skin conditions like scars and stretch marks. Treatments only take 30-45 minutes with minimal discomfort and downtime. After the procedure, your skin will appear slightly red, similar to light sunburn, but this redness will fade within a few days. Depending on your skin and desired results, four to eight sessions are usually recommended. These treatments will be held at four to six-week intervals for maximum results. How is Skin Needling Different to Derma Rollers? When compared to traditional dermal rollers, Dermapen causes less damage to the epidermis (surface layer of the skin), reducing discomfort levels and post-treatment downtime. 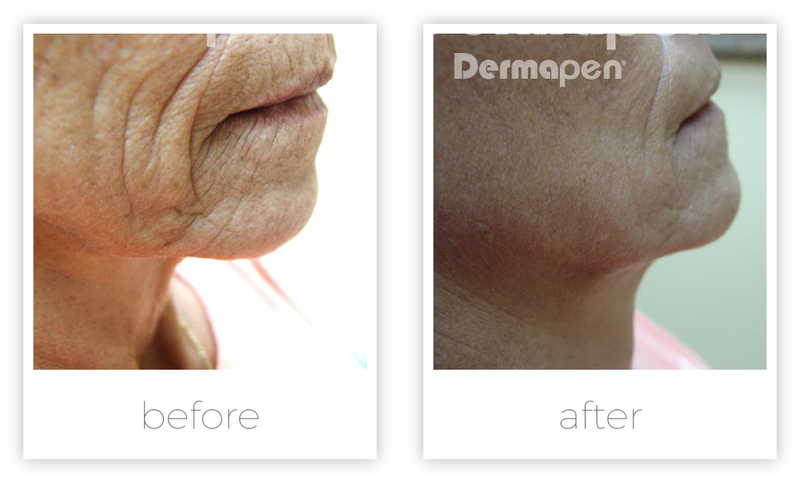 As such, Dermapen is safer, more comfortable and more effective than traditional Derma Rollers. Plus, the more advanced technology and adjustable needle depth used for skin needling make customising treatments possible. When undertaking Dermapen microneedling at Serene Day Spa, you’ll be prescribed homecare first, and will also undergo an Omnilux treatment 48-72 hours after your skin needling session to accelerate your skin’s healing process. Depending on your skin type, we might also recommend an exfoliation treatment one to two weeks after your Dermapen session. A single Dermapen session will cost $285, and a course of four treatments is $950. To learn more about skin needling and its complementary skin treatments, contact the team at Serene Day Spa on (08) 9245 8188 or reception@serenedayspa.com.au.